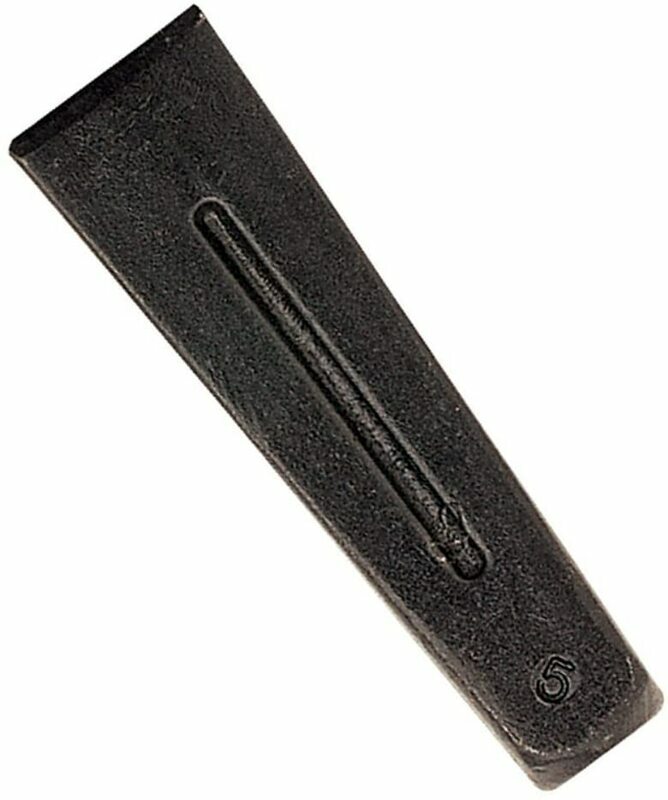 SLEDGE/MAUL FIBERGLASS HANDLE For 6 to 16 lb. and some 18 to 24 lb. 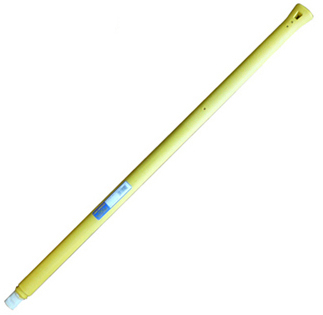 tools Include epoxy Fiberglass heavy duty repair handle High visibility molded clad exterior Heavy duty fiberglass core for extra strength 001-99 36 IN. FG SLEDGE HANDLE LENGTH:36"
HALF HATCHET Cast alloy Bit is 3-5/8" 08294 HALF HATCHET LENGTH:13-1/2"
FIBERGLASS HANDLED SLEDGE HAMMER Double face forged steel sledge hammer High carbon steel & tempered for hardness 34" fiberglass handle for maximum core - strength and safety Eye size for 34" models is 1 x 1-3/8" For destruction work, breaking dry wall or - masonry walls 1199300 10LB FG SLEDGE HAMMER SIZE:10 Lb. 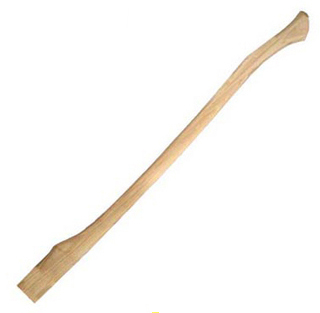 LENGTH:34"
HANDLED SLEDGE HAMMER Forged heat-treated head for ultimate in - durability and safety Used for general applications in striking - wood, concrete, metal and stone 36" hickory handle provides natural - shock absorption 1199100 10LB SLEDGE HAMMER SIZE:10 Lb. Length:32"/36"
WOODSLASHER AXE Double bit Western pattern Hickory handle: 36" 10075 3-1/2# DOUBLE BIT AXE SIZE:3-1/2 Lb. SHINGLER'S HATCHET Fully polished head with adjustable gauge Checkered face-draw knife-inner blade Hickory handle with leather strap Permabond head to handle construction Overall length 13" Permabond construction between head & handle Designed for the expert shingler 11-558 24Oz SHINGLING HATCHET LENGTH:24 Oz. BIT SIZE:2-1/8"
3-1/2 LB. 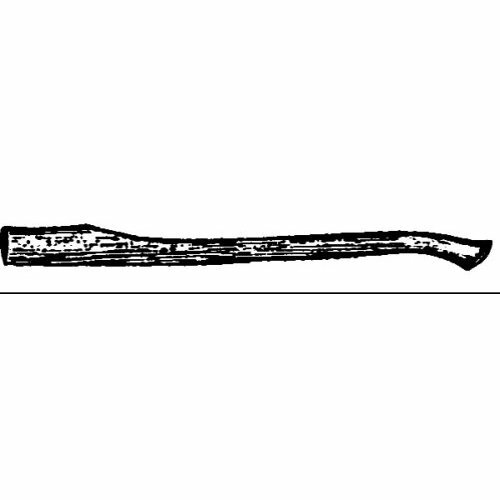 DAYTON SINGLE BIT AXE True American(R) single bit Dayton style axe 3-1/2 lb. forged, heat treated steel head - mounted on 36" high grade hickory handle Has integrally-molded handle guard that - won't slip or come loose Use for trimming branches, pruning trees, - splitting and cutting wood Made in the USA 1113211000 3.5LB SNGL BI D AXE SIZE:3-1/2 Lb. 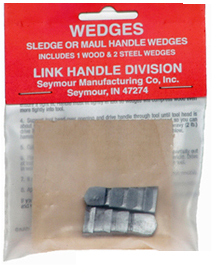 WOODSPLITTING WEDGE Heat-treated steel Square heads Domestic type 1131900 3 LB AMERICAN WEDGE SIZE:3 Lb. LENGTH:1-1/2x 7-1/2"
WOODSPLITTING WEDGE Heat-treated steel Square heads Domestic type 1132600 5 LB AMERICAN WEDGE SIZE:5 Lb. LENGTH:1-3/4x 9-1/4"
WOODSPLITTING WEDGE Heat-treated steel Square heads Domestic type 1132900 6 LB AMERICAN WEDGE SIZE:6 Lb. LENGTH:1-7/8x 9-1/2"
CALIFORNIA STYLE LATH HATCHET 20 oz. full polished steel head hatchet with - checkered striking face Thin blade California style Red hickory handle Permabond(R) construction secures head to handle 11544P 3025 20Oz LATHE HATCHET SIZE:20 Oz. 4 LB. 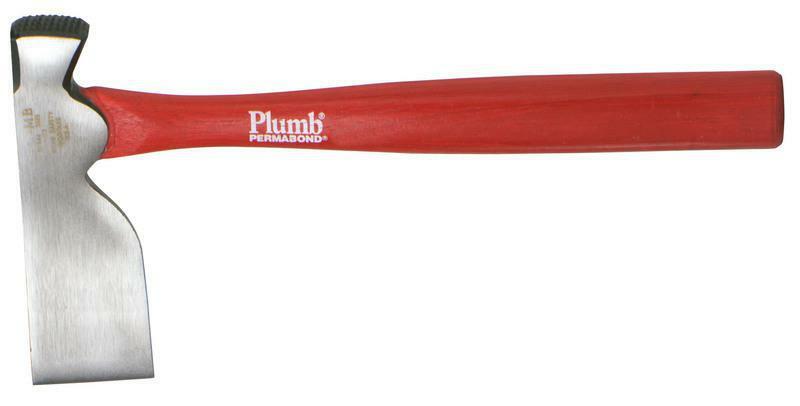 FIBERGLASS HANDLE ENGINEER HAMMER 4 lb. 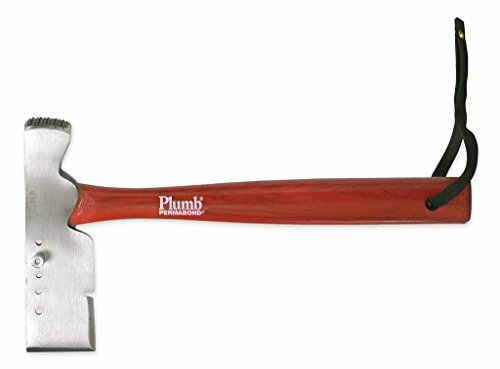 double-face engineer's hammer Forged steel hammer head 16" Fiberpro fiberglass handle Eye size for 16" models is 3/4 x 1" Perfect for heavy hammering / demolition work 1197000 4# ENGINEER HAMMER SIZE:4 Lb. 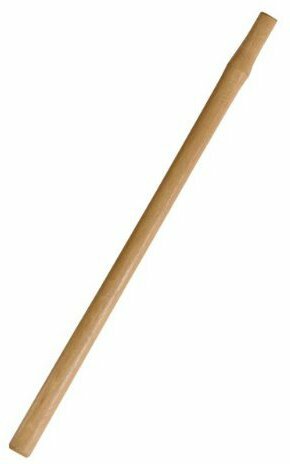 LENGTH:16"
HANDLED SLEDGE HAMMER Forged heat-treated head for ultimate in - durability and safety Used for general applications in striking - wood, concrete, metal and stone 36" hickory handle provides natural - shock absorption 1197400 6LB SLEDGE HAMMER SIZE:6 Lb. 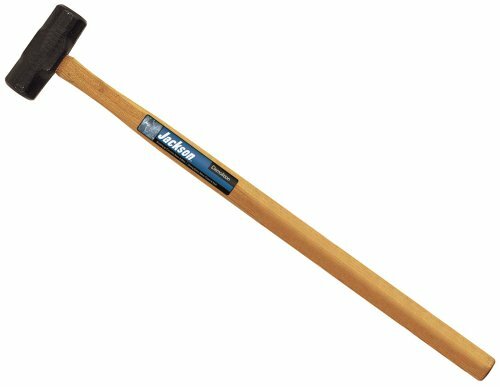 Length:30"/36"
HANDLED SLEDGE HAMMER Forged heat-treated head for ultimate in - durability and safety Used for general applications in striking - wood, concrete, metal and stone 36" hickory handle provides natural - shock absorption 1197900 8LB SLEDGE HAMMER SIZE:8 Lb. 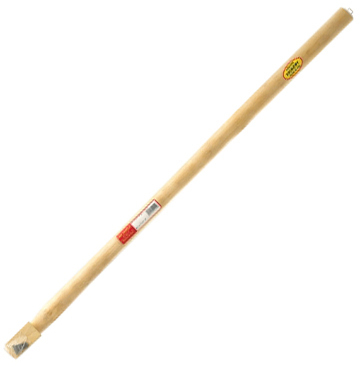 Length:32"/36"
HANDLED SLEDGE HAMMER Forged heat-treated head for ultimate in - durability and safety Used for general applications in striking - wood, concrete, metal and stone 36" hickory handle provides natural - shock absorption 1199400 12LB SLEDGE HAMMER SIZE:12 Lb. Length:32"/36"